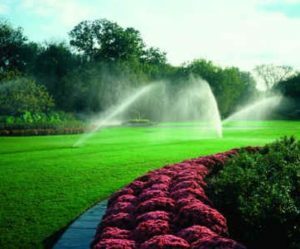 As an industry leader in the use of Smart Technology irrigation water management systems, we can install a new irrigation clock that constantly monitors your current weather patterns and then adjusts your irrigation frequency and duration based upon these real-time weather conditions. 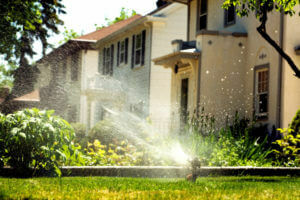 The result is the potential to save 30% to 50% off your irrigation water bill simply by incorporating this new technology. The exciting part of this new technology is that it has actually been around and thoroughly proven in large-scale agricultural uses for many years and is just now rapidly gaining popularity in the landscape industry. As with all things electronic, the economics of this new technology has continued to decline and has now made it possible for the individual homeowner, homeowner association or commercial property to recover their initial investment in just a few short months rather than in years. 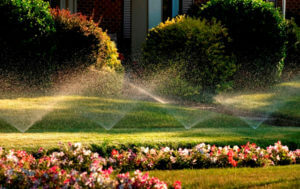 We invite and encourage you to contact Palm Beach County Landscape and ask us to come demonstrate how we can potentially save you 30% to 50% off your water bill by installing one of these new irrigation water management systems.